It's Christmas season, the most beautiful and miraculous time of year. If your family is anything like mine, you are soaking it in... the lights, the live nativities, the Christmas music, children's pageants, fires on cold nights, hot chocolate and eggnog, plans to be with family, the excitement brewing over all the gifts under the tree, evening advent readings with the kids, too many sweets. It's wonderful and magical, nostalgic and peaceful. Yet beyond all this earthly cheer lies the greatest reason for Christmas joy. Christ in a manger. What a gift it is that God gives us this season of advent to enjoy and reflect. God becomes the least. He humbles himself to servant, in order that we would have living hope. Our long awaited King comes to us in the most unexpected, yet glorious way. His humble entry foretells His message that the last shall be first in the Kingdom of God. My eternity hinged on this baby's destiny. Wow. Indeed, Christmas is a time to marvel and relish in this goodness. I give thanks for all of it, the seasonal jubilance and especially the reality that God has come to save. Simultaneously, my heart aches. There are orphans, too many orphans, who know nothing of Christmas. They've never experienced the wonder of the season or even the mention of baby Jesus. I can't forget so many of them who I met and held in China. Many of them starving and silent. Silent because no one responds when they cry. Others silent because they will be physically punished if they make noise. They certainly don't know what a cozy fire is. Only 3 days ago, I read news that the temperature dropped to minus 40 degrees in Inner Mongolia, China's most northern province. This is where our Emily is from. Y'all, these orphanages have no central heat. I remember Emily and the other kids being so sick during the winter months. Many of them don't live through it. Every day life is dire and Christmas is no different. These children deserve to be heard. They deserve to be loved at Christmas time and throughout the year. They deserve hope. Upon lamenting, I turn my focus back to the babe in a manger. This babe who is the only hope of man. This hope that God freely offers, is it just for me and you? Are we the only lucky ones who can look at the beauty of the season and know we have been saved, will be saved? 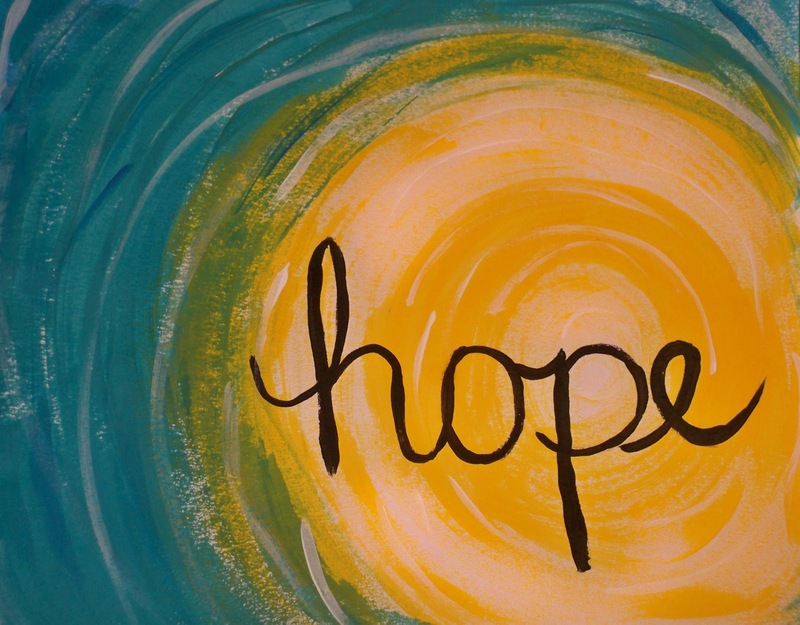 Can we trust that God offers hope for the orphan too? God himself became a vulnerable baby, destined to be abandoned by His very own Father. He knows the pain of abandonment and it's the entire reason He came as a baby, lived among us, died for us, and lives now for us. His hope is for them too, for those precious souls shivering alone in a crib. His perfect will can not be thwarted and He bids us all to take part of His plight for the orphan. He alone offers hope but we must be obedient in loving fiercely, so that His love may be realized. WE are God's instruments in reaching out to the lost and abandoned. It is a privilege He grants us to be a part of His redemptive plan. While my heart aches over the reality that is here and now, the birth of Christ reminds me that we are not left here to save ourselves. His life, death, and resurrection remind me that I am free to love the least of these, with no reservation, no fear, and no doubt that He will always provide. During Advent, we wait expectantly for the birth of Christ, our King who came to save. But we also anticipate His return, His final reconciliation of all things. We long to be made whole again. We yearn for the orphan to be made whole. Until this consummation, let us not grow weary in doing good. Let's be vehicles of God's grace. Please friends, let's be the hands and feet of Christ this season, for the fatherless. While it's beautiful to offer our worship in sanctuaries and even by our warm fires, may we never forget the helpless ones who wearily wait for hope. Let's pray, go, tell, give, adopt, hold, bless, love. Oh come, Emmanuel.